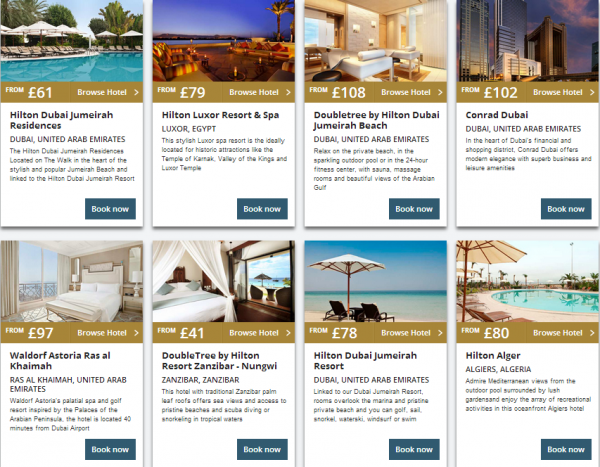 Hilton now has its website up for the Summer Weekend Sale, which I first wrote about last week, for stays at participating properties in the Middle East & Africa between May 18 and October 5, 2014. The sale is going on until October 5, but you must book at least 5 days in advance. The discount varies from 25% to 40%, although most properties are discounted by 33%. 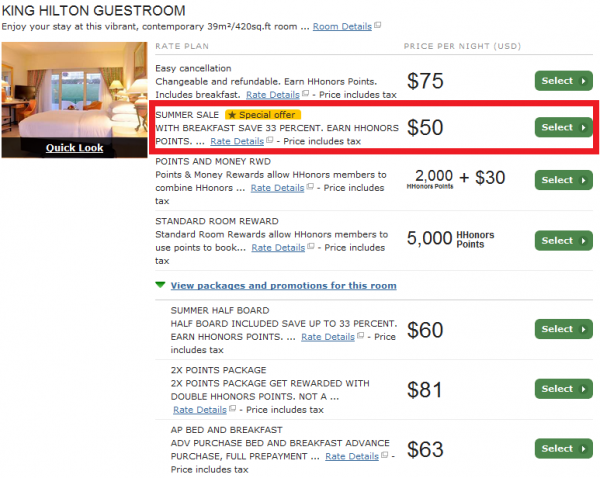 You can access Hilton’s website for this offer here. This rate is prepaid and non-changeable so you should only book it if your plans are firm. Remember that the weekend in the Middle East is usually defined as Thursday, Friday and Saturday. 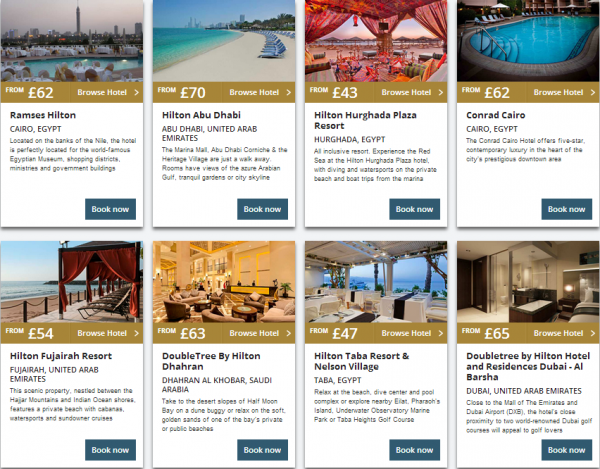 The discount is 25% at the following properties: Hilton Dubai Jumeirah Residences, Hilton Dubai Jumeirah Resort, Jeddah Hilton, Qasr Al Sharq, Waldorf Astoria Collection, Makkah Hilton, Hilton Makkah Suites, Makkah Hilton Towers, Madinah Hilton. The price of a standard room a the Waterfall Resort is only $50, although 5,000 Hilton points per night is not a bad deal either. The summer sale yields 33% discount here as well. 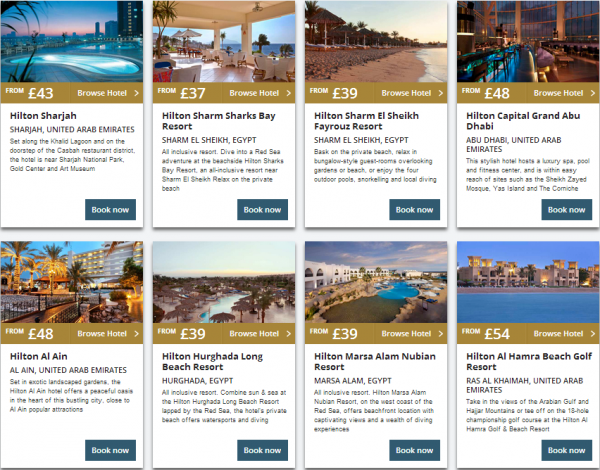 The summer months are truly hot in the Middle East region and Ramadan is this year from June 28 to July 28, 2014, that shouldn’t make a difference in the resort properties. When I wrote about this sale last week (read here), the discount at the Condrad Cairo was 40%. You may find similar discounts at some other properties as well. 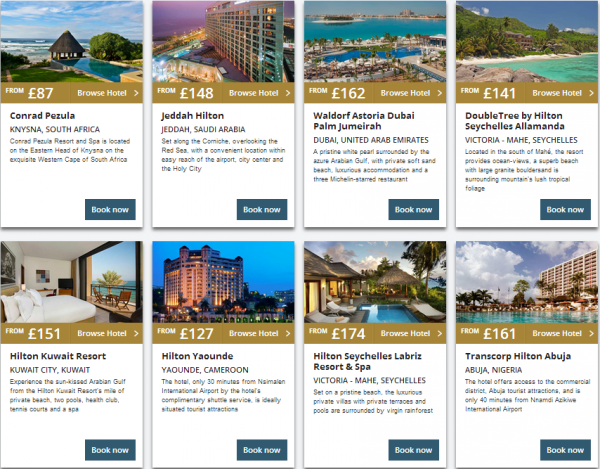 Book between May 13, 2014 and September 30, 2014 and stay at a participating hotel within the Hilton Worldwide portfolio in the Middle East & Africa between May 18, 2014 and October 5, 2014. Subject to availability. Full non-refundable prepayment required at time of booking. Your credit card will be charged immediately for the total amount quoted for the entire stay as reserved and refunds or credits will not be issued unless otherwise indicated by local law. Charges cannot be applied to other stays, services or merchandise. Booking cannot be changed. Must book at least five (5) days in advance of arrival. Discount is 33% off Best Available Rate and Bed & Breakfast Rate for select rooms at participating hotels. Blackout dates may apply and vary by property. Additional restrictions apply. Click here for more details. Previous articleWhat Happened To FlyerTalk’s Coupon Connection?